The currency now used in Zimbabwe is mainly the United States Dollars, South African Rand is also accepted but all priced are quoted in United States Dollars. In Victoria Falls the Botswana Pula is also traded. US Dollars cash is preferred, but International Credit Card are now being accepted, VISA is the only card that is accepted at Bank ATM’s (maximum withdrawal per day of US$500). There are frequent electricity cuts in Zimbabwe so it is always advisable not to totally rely on the ATM’s working. 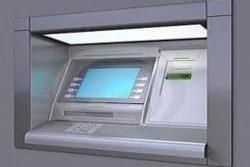 Take care when drawing cash from ATM’s that no one suspicious is watching you especially after dark. Travellers Cheques are no longer cashed in at banks, they are treated like normal cheques and take up to 21 days to clear. 15% VAT is charged on everything, including meals purchased in Hotels and restaurants and a 2% tourism levy is charged on all tourism services.